Staying alive when you're a cricket hinges upon two things: avoiding countless predators and finding a nutritious meal. For many crickets, meals aren't awfully hard to come by, since the majority of the insects are omnivores. When the pickings are slim, nothing -- not even their own species -- is off-limits. Most crickets readily feed on fresh and tasty plant material, fruits and veggies. The insects also enjoy seeds if they come across them, which can spell trouble if you've just spread grass or other plant seeds. On the other hand, they can help keep annoying weeds, such as crabgrass and ragweed, in check. On yet another hand -- you're probably running out of hands at this point -- crickets who dig tunnels under the ground, such as mole crickets, disrupt the soil and allow weeds to germinate, according to the University of Florida. In impressive numbers, certain species of crickets, such as the field cricket, can severely damage large numbers of plants. While most species of crickets are omnivores who will eat meat in addition to plants, the majority prefer plants and other sources of food that put up no fight. But some species choose to take a mostly or entirely carnivorous route. 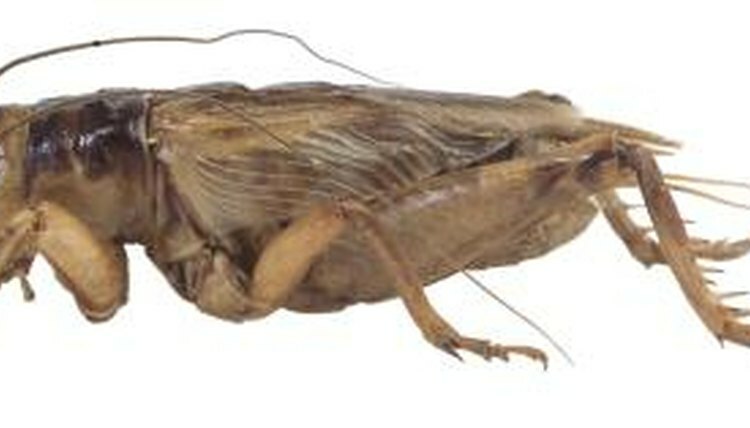 Carnivorous crickets typically belong to the Tettigoniidae family, which are known as bush-crickets and aren't considered true crickets. Meanwhile, mole crickets of the family Gryllotalpidae -- true crickets -- prefer meat over plants but will eat plant material if necessary. Insects, including ants, mites, stick insects, aphids and ladybugs, make up the bulk of a carnivorous cricket's diet. Crickets prefer fresh meals, but if they're hungry enough, they will indulge in decaying plant material and dead or injured insects. As a last resort, crickets will eat one another, but they usually do not -- unless they spot a fellow cricket who's injured and unable to fight. This feeding behavior has earned them the title of scavengers. When you think of crickets, you probably don't think of food thieves, since most species either outright kill for their meals or chow down on plants right in front of them. But a certain type of cricket takes to stealing meals. According to Animal Planet, the ant-loving cricket hangs around in ant nests, approaches ants and shows off some funky dance moves. While the reason is unknown, the motions make the ant drop food, which the cricket willingly takes.